NOTE: This feature can update some managed make projects created by earlier versions of CDT. 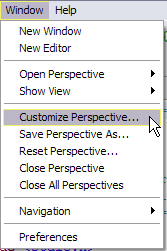 From the Customize Perspective Wizard select Convert to a C/C++ Project and click OK. NOTE: Ensure New is selected in the Submenus: list. 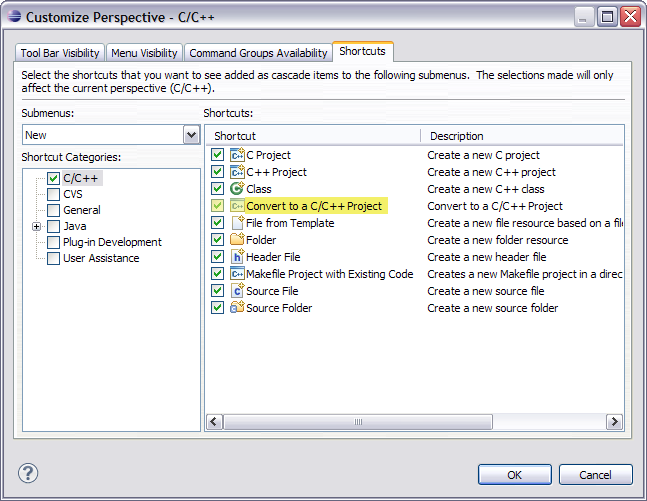 The File > New > Convert to a C/C++ Project option will now be available.